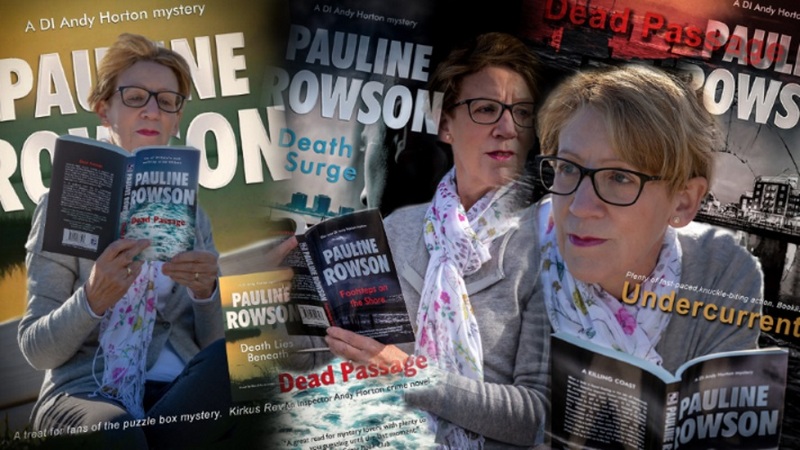 More used to penning crime novels of approximately eighty five thousands (85,000) words it was something of a surprise when some years ago I was commissioned to write a murder mystery play to help celebrate Liverpool’s year as the City of Culture. I had never written a play before – unless you count the ones I used to scribe as a child and enlist all the local children in my area to perform in my parents’ garage for which adults were charged a fee to come and watch. So perhaps there has always been the budding playwright within me. I admit that I am hopeless at writing short stories, I much prefer the marathon of the novel rather than the sprint of the short story but I have always enjoyed writing dialogue so I was eager to give it a go. The play was written, the performers cast, all was set then the funding was pulled and the play never saw the light of day. Not in Liverpool anyway. I tucked it away as an experience until I received a request from an amateur group in Kent to perform it which they did with great gusto. This was followed by a request this year from the Winterbourne Players, Bristol to stage it and they did so with great success. 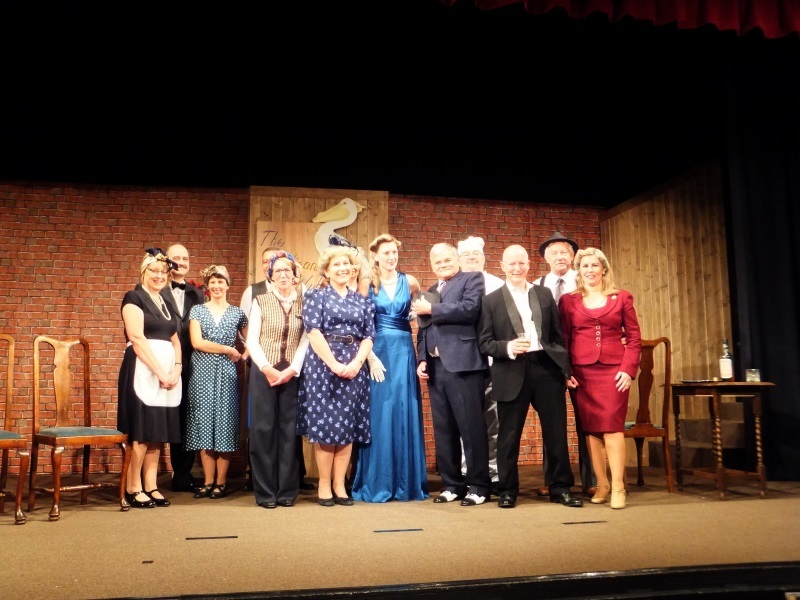 Murder at the Pelican Club is a 1940s Agatha Christie style detective drama with a touch of humour and the Winterbourne Players went the whole hog with it. The audience were invited to guess ‘who done it’ between the acts which revolved around a wartime themed supper of corned beef hash (vegetable hash for the vegetarians) followed by tinned peaches and evaporated milk. Delicious. There were prizes for the table who came up with the culprit and the motive, and although over the three night’s performances, 22-24 November, some got close to guessing nobody actually did. Which I was rather pleased about. There was also a prize for the best 1940 costume. I dressed up in slacks and turban and wore a genuine 1940 knitted waistcoat which my mother knitted during the war when she served in the ATS. There were gasps aplenty from the audience when she was killed at the end of the first act just as she finished her song during a bombing raid, which the Pelican Club was protected from because it is in the basement. Step forward an aged waiter who in reality is gruff old Inspector Doyle. With six suspects Inspector Doyle has to find the killer, determine the method and the motive. Was it, MICHAEL EELS the drunken musician accompanying Tillie on the piano; MAXINE HUNTER, Tillie’s agent and manager; BRIAN BLEMMINGS, the owner of The Pelican Club; MAISIE DUNCAN, Tillie’s friend; RYAN CONNOR a waiter or the CHEF, or perhaps someone else in the audience…? Prior to the play’s opening there were songs from 1940 which some in the audience sang along to. They oohed and aahed and laughed in all the right places, which was deeply satisfying. The credit for that goes to the director and the performers for delivering my lines so well and for their impeccable timing, which of course is critical. It was thoroughly enjoyable and I was deeply flattered to be asked to present the prizes on the last night and even more flattered when people approached me and asked me to sign their programmes, I felt like a real A-lister. 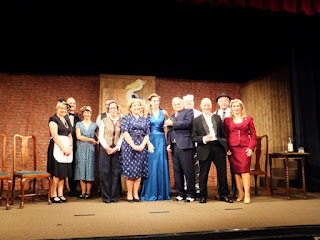 The Winterbourne Players are now keen to stage my next murder mystery play so I had better hurry up and finish writing it. And here’s hoping that Murder in the Pelican Club lives to see many more performances yet.